Van Horn, Metz Successfully Passes Responsible Distribution Verification - Van Horn, Metz & Co. Inc.
Conshohocken, PA – Today, Van Horn, Metz & Co. announced that it has successfully passed its NACD Responsible Distribution® verification for the current three-year cycle, reaffirming the company’s commitment to the health, safety, and security of its employees, communities, and the environment. 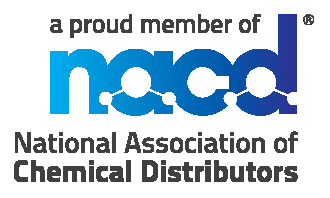 Responsible Distribution is the National Association of Chemical Distributor’s (NACD) third-party verified environmental, health, safety, and security program that allows members to demonstrate their commitment to continuous performance improvement in every phase of chemical storage, handling, transportation, and disposal. “Successfully demonstrating compliance with NACD Responsible Distribution® represents a commitment by all at Van Horn, Metz to prioritize the health, safety, and security of our employees, the community, and the environment, and for this we can be proud.” adds Sean McCarty, the Code Coordinator.